A Bichon frise-Yorkshire terrier is an adorable cross. This mix will combine physical and temperamental attributes of the bichon and the Yorkie. 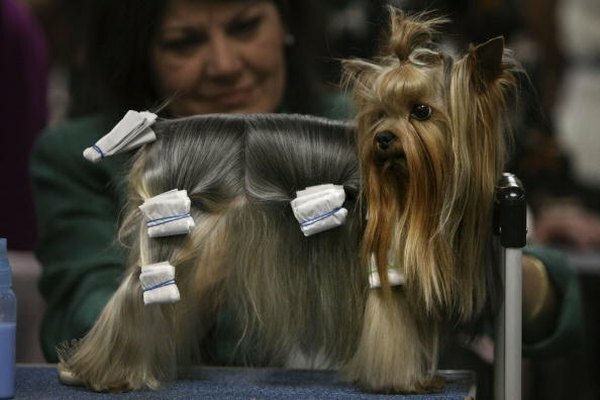 The Yorkie has long, straight, silky hair. The Bichon has long wavy, thick hair. Typically, the Yorkie is kept in a short puppy cut, or long, flowing tresses, while the Bichon wears a short puppy cut or a fluffy, blown-out style that is somewhat reminiscent of an afro. The mix of these two breeds can result in a range of sizes, from Bichon size to Yorkie size, and in a range of colors and hair types. In any case, expect a lively, friendly, smart dog that can have a bit of a stubborn streak. Crate train your Bichon-Yorkie for best results. Puppies that are trained to use papers or pee-wee pads indoors often have a difficult time transitioning to going outside to potty. 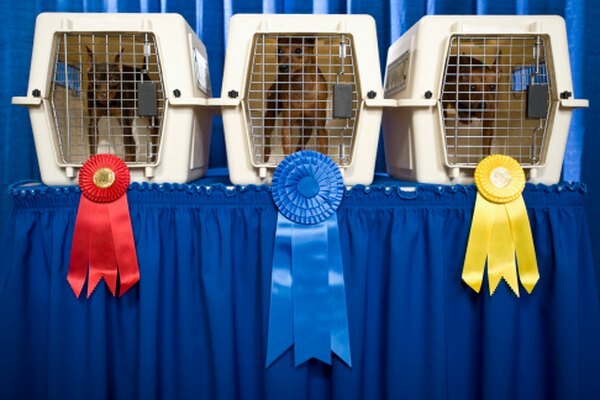 Wire crates or puppy pens are better than the plastic airline crates for house training because they provide good air flow and allow the pup to see what is going on around it. 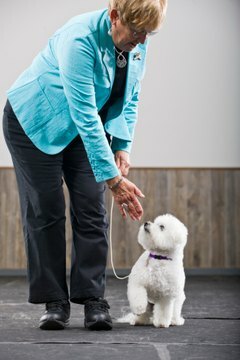 Teach your Bichon-Yorkie to accept handling and grooming. This hybrid will have long-growing hair, requiring a lot of attention. Even if you choose to keep the hair in a shorter puppy cut, it will require regular haircuts. Clearly, this will be no fun if the dog squirms, wiggles or bites every time it is groomed. If your Bichon-Yorkie is a puppy, brush it daily, bathe it regularly and trim just the tips of its nails weekly. Keep grooming sessions short and pleasant. If your dog is already an adult and hates grooming, you'll need to start slow, gradually teaching it to be calm for grooming. 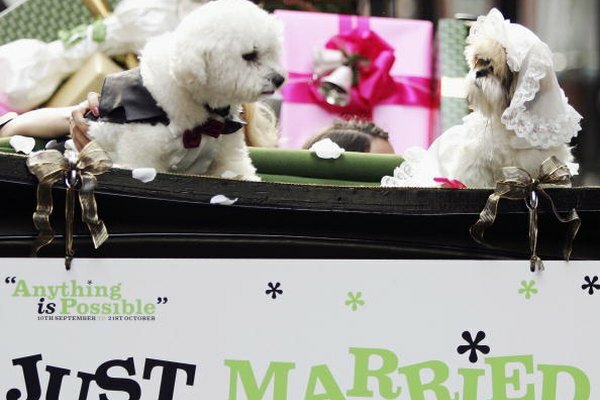 Take your Bichon-Yorkie to puppy kindergarten and obedience classes. Small dogs need training just as much as larger dogs. Small dogs that aren't trained sometimes develop problem behaviors, such as territorial aggression, yapping or fearfulness. 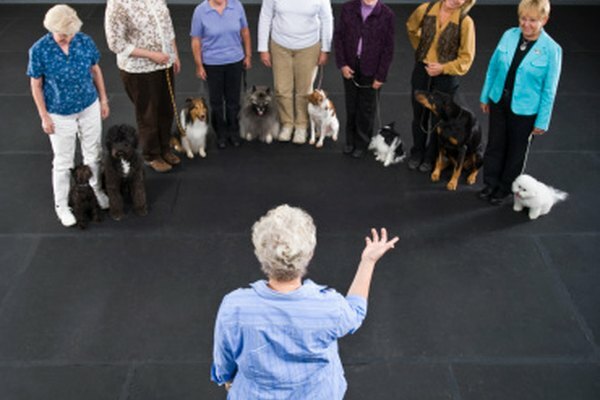 Socialization is a part of training that cannot be ignored. Dogs that aren't socialized have a high incidence of aggression and fearfulness. Socialization includes positive experiences with all kinds of people, animals, noises and situation that the dog may be exposed to in living with people. Allow your Bichon-Yorkie to be a real dog. Let it walk on a leash, sniff the ground, socialize with people and other animals. Dogs need to engage in doggy behavior in order to remain mentally stable. Too much coddling will result in an unstable, overprotective, nervous and possibly aggressive dog. You can carry the dog, dress it up and even teach it to ride in a purse, as long as you also allow it to play, walk and participate in life as a dog. 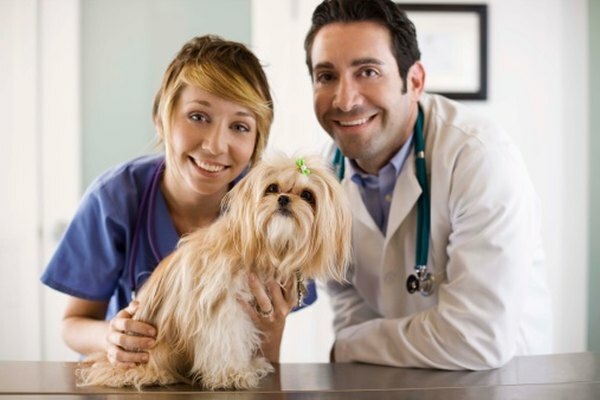 Take your dog to the veterinarian for all routine examinations, vaccinations and other care. Initially, set appointments - usually free - just to take the dog in to see the staff and veterinarian, stand on the examining table and be petted and offered treats. This will help the dog to associate the veterinarian's office with good experiences. Exercise your Bichon-Yorkie daily. 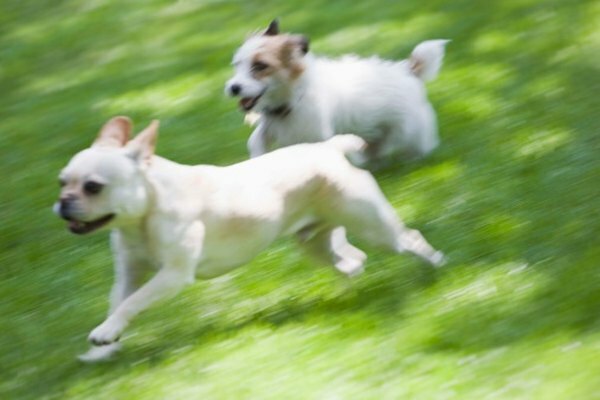 All dogs need exercise, both leash-walking and free romping in a safe, enclosed area. If you have trouble finding time for exercise, hire a pet sitter or doggy day care. Any day care, pet sitter or dog park should have separate areas for dogs of different sizes, and paid services that mix dogs in play groups should also screen dogs before allowing them in. Keep the hair off your dog's face and out of its eyes. You may like the mop-top look, but your dog needs to see. Training, behavior, health and even aggression can all be affected by obstructed vision. Don't fool yourself into thinking it can see fine just because it doesn't walk into walls. A Bichon-Yorkie hybrid is also called a Yo-Chon, Borkie or Bichon terrier.